Lady M: What’s the Hype? Instagram is my favourite database to do my food research; it’s a lot of raw data to go through, but you get honest opinions and find out about all types of restaurants out there. 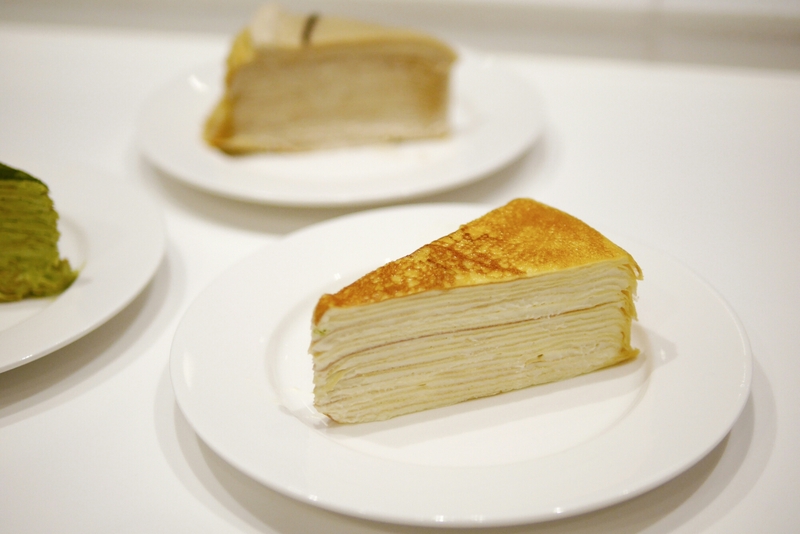 It’s also how I first came to know Lady M’s signature mille crepe cakes, years before it was even sold in this city! Follow me on Instagram @lolleroll for my “raw” feed! So when Lady M came to Asia from New York, opening stores in Singapore, it was so popular that Hong Kong peeps couldn’t stop raving about it. Had I visited myself, I would’ve definitely lugged one back to Hong Kong instead of the default Bengawan Solo pandan cake. Therefore, no surprise that there’d be a massive queue when it first opened in Harbour City (Tsim Sha Tsui). But lucky I was that Lady M finally opened a second store at IFC mall (Central) and blessed I am that my boyfriend went down before lunch hours to queue up for it! 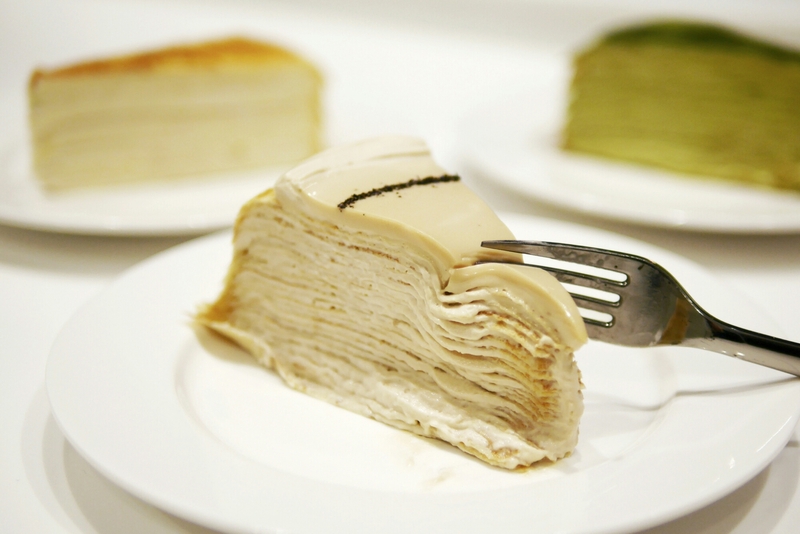 The Earl Grey one is exclusively available in Hong Kong and I must say it could be the best mille crepe cake from Lady M. The cream bears a pleasant and very strong earl grey flavour, so it’s a must order for anyone who loves earl grey tea. 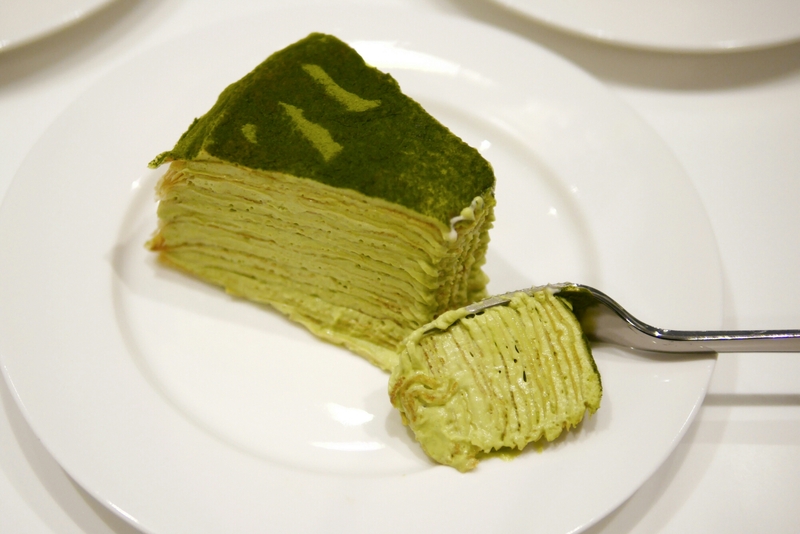 The green tea/matcha mille crepe cake was much less intense on the tea flavour compared with the earl grey one, but I kind of liked it that way too. I suppose mille crepe cakes are supposed to be super creamy and I personally enjoyed this the most. The original flavour is actually quite good too, just comparatively boring (as one can imagine). In general, although the cake was delicious, I was a little disappointed with the crepe. It could’ve been way more impressive. Our one was dry and flaky in parts, which unwelcomingly stood out in a few of the bites. All in all, not really. Although I wouldn’t go so far as to say they were over-hyped. The cakes were generally very delicious and broadly lived up to medium expectations – I had tempered them down on web comments that these were “not that great”. However, it was not awe-inspiring enough to justify the combination of price (HK$75/68) and wait time (~30 mins). But I’m happy/satisfied that I finally got to try this much hyped up dessert and I would definitely get it again if it weren’t for the wait. P.S. Don’t bother trying after work, it’ll probably be sold out.